The Teixeira Tech Yamaha YXZ 1000R Frame Gusset Kit is a 24 piece kit that hits all the necessary stress points. After a couple of seasons of working with the top Yamaha racers in the world, we believe we have come up with the most complete chassis gusset kit for the YXZ 1000R / SS with the least amount of additional weight from unnecessary pieces. 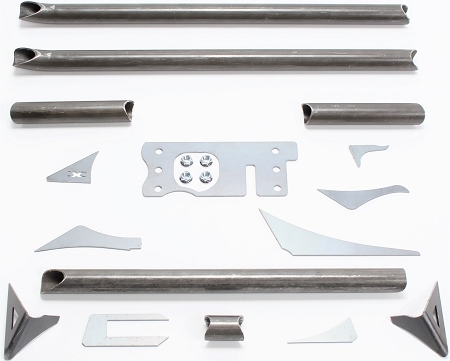 Teixeira Tech Gusset Kits are a combination of CNC Laser Cut sheet metal, chromoly sheet, and CNC milled 4130 chromoly tubing for the upmost in precision and fitment. Please click here for installation guide.